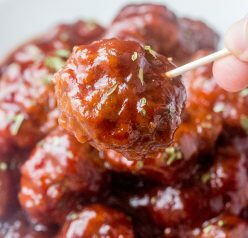 Extremely easy smooth and creamy 4 ingredient Honey Mustard Dipping Sauce recipe you can dip pretzels or French fries in, spread on grilled chicken, potatoes, mini meatballs, and more! Say hello to the easiest, most versatile dip you will probably ever see on this blog. Sure, you can buy Honey Mustard Dipping Sauce at the store and make things even easier, but this homemade version is the best I’ve tasted. I dipped everything from soft pretzel bites to chicken fingers in it and this sauce really just goes with so many different foods. Yes, the day I made this I had pretzel bites for lunch…because I can! The possibilities really seem endless. I want to dip my Almond Coconut Crusted Chicken Tenders or my 15 minute Avocado Caprese Chicken Wraps in this next. Grill some chicken kabobs and have an easy dipping sauce in 5 minutes! I also think I need to dip these crispy fried chicken fingers from Foodie with Family in this sauce. 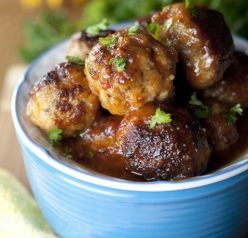 The tangy mustard with the sweet honey is a match made in heaven. Even if you don’t like mustard, the honey really balances the strong flavor of the mustard in a way in which I think you will learn to love. One great thing about this recipe is that it’s made with only ingredients you probably already have in your house. Am I the only one who gets ridiculously excited when I am craving a recipe and I already have all of the ingredients at home? Maybe that’s what they call “adulting”? Well if adulting is wrong, then I don’t want to be right. 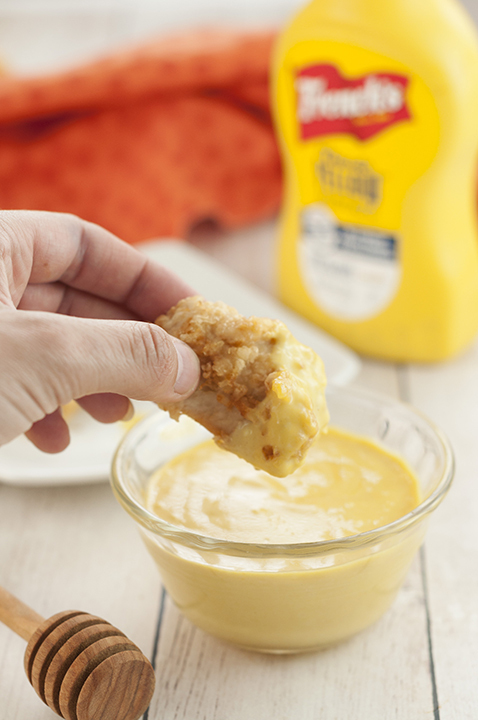 Four ingredients ’til you achieve greatness with this delicious recipe for honey mustard dipping sauce. Go ahead and find creative ways to get your dip on in this sauce and let me know what you come up with! If you love sauces made with mustard, check out my collection of Mustard Dressings and Sauce recipes! Add all of the ingredients in a small mixing bowl and whisk together. Season with salt to taste. Use to dip your chicken fingers, soft pretzels, etc. What a wonderful classic dipping sauce. And this looks much better than the ready-made sauce you can buy at the store. Good stuff — thanks! 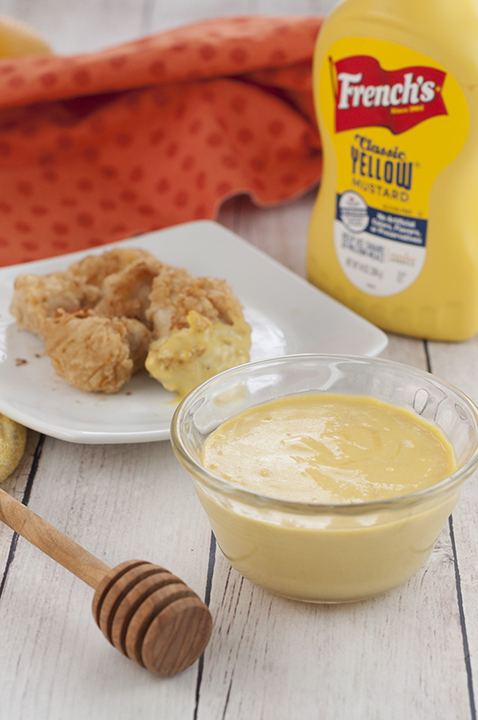 My daughter loves honey mustard dipping sauce but I haven’t made it for her yet! Now I have no excuse! You can’t go wrong with this. So many choices to dip in it! 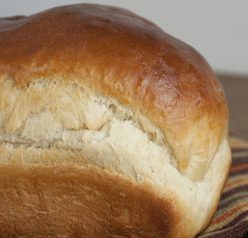 I just found this recipe and your blog!! This recipe is a keeper! I also made your crock pot baked potato soup last week, delicious! Thank you, thank you, my picky family all enjoyed these recipes.